TSN insider Pierre LeBrun with the inside scoop! The tension between restricted free agent William Nylander and the Toronto Maple Leafs seems to be getting tighter and tighter by the day. We’ve reached the point now where some of the NHL’s top insiders, like Pierre LeBrun of TSN and The Athletic, feel that a trade may be more likely than it appeared during the offseason. Every day that passes without progress between Nylander and Leafs general manager Kyle Dubas, the speculation on Nylander’s future grows stronger. On the most recent edition of TSN’s Insider Trading segment, LeBrun waded into the rumors and speculation and even named a potential trade match for the Leafs with regards to Nylander. Gino Reda: Kyle Dubas has made it pretty clear though that he does not want to move William Nylander, but are teams keeping track of what’s going on just in case? Pierre LeBrun: Oh, are they ever. As of today I’ve had two other teams tell me that again their understanding from the Leafs is that Kyle Dubas does not want to move Nylander. But as we get closer to December 1 when Nylander if he remains unsigned can no longer play in the NHL this season, that’s an asset that the Leafs have to make a decision on and maybe the Leafs change their stance and that’s where teams are hoping to act. Carolina to me is a team you have to keep an eye on because of the teams that have interest in Nylander; the Hurricanes are as deep on defence as any team. They have five top-four defenceman and a guy that the Leafs would have interest in if it ever goes down this road would be Brett Pesce. He has a six-year deal at just over four million a year, a cap friendly deal and is a young top-four defenceman. The 23 year old Pesce is signed to a cap friendly six year deal worth just $4 million per season and has established himself as a legitimate top four defenseman with the Carolina Hurricanes. While he may not have eye popping offensive statistics, Pesce is just the kind of steady, stay at home defender that the Leafs could use. The 6 foot, 3 inch, 200 pound blue liner put up three goal and 19 points in 65 games with the Hurricanes last season, playing mostly alongside partner Jaccob Slavin. He’s a right shooting defensemen with decent size and smart playmaking abilities. 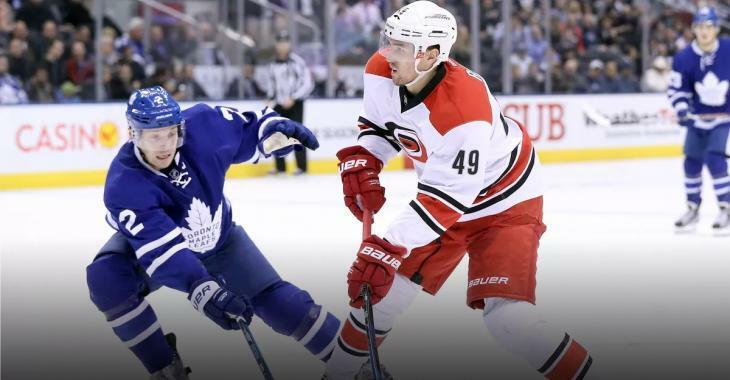 While he may not have the flash of someone like Nylander, he could be just the puzzle piece that the Leafs need in order to finalize their defense corps.